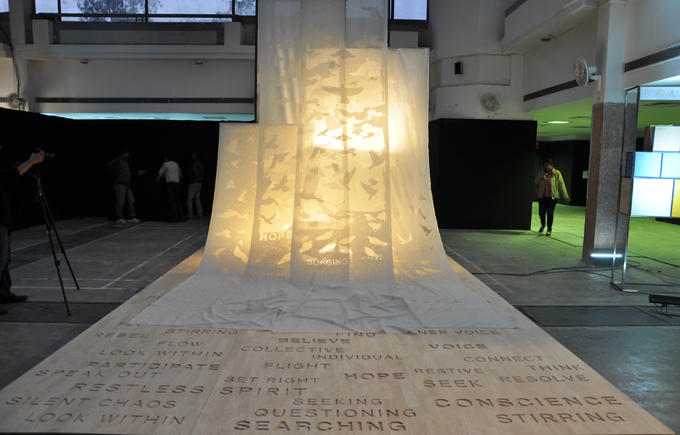 Awakening was the final theme discussed at ColourNext Dialogues in New Delhi. Speakers Siri Devi Khandavelli, an intermedia artist based in Bangalore and Delhi, and Shalini Jaikaria, Founder and Designer at Gieshadesign, began by talking about their first impressions upon seeing the installation. To Siri, the installation signified a sort of spiritual journey, an ascension of the soul through time and experience. She also spoke of how the many birds and their upward movement suggested that each individual was aspiring to move upwards, which contributed to the collective rising. Shalini was drawn to the installation because of its delicate fragility and soft transparency, elements she uses in her own work. A member of the audience remarked on how it evokes feelings of confluence, honesty, upliftment, and that it signified a kind of collective consciousness emanating from an underlying vibrationary energy. Another participant said the installation could be renamed “Inner Joys”, as it seemed representative of inner peace and joy amidst the chaos of everyday life, a conscious pursuit of the spiritual. Regarding the colour palette, the audience was enthusiastic about the soft hues and delicate shades that complemented the theme. 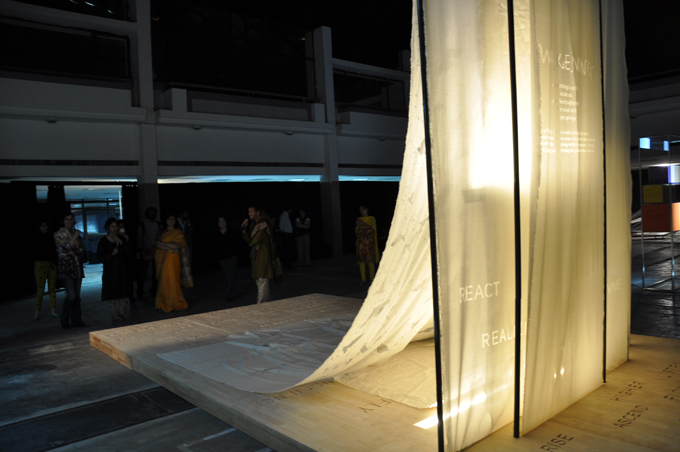 Some of the designers present spoke of how the palette could be used alongside lights, with sheer, layered fabrics, as in the installation itself, and that it would retain the same lightness and purity. 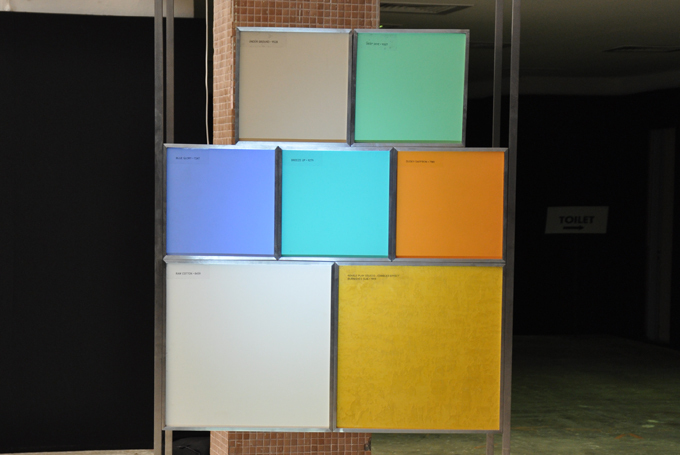 They also spoke of how the colours were all light and uplifting, but not bold or bright; the palette is soft yet crisp, and the colours can stand alone, but are also a harmonious composition together. Moreover, the palette is warm, comforting, and decidedly emotive. 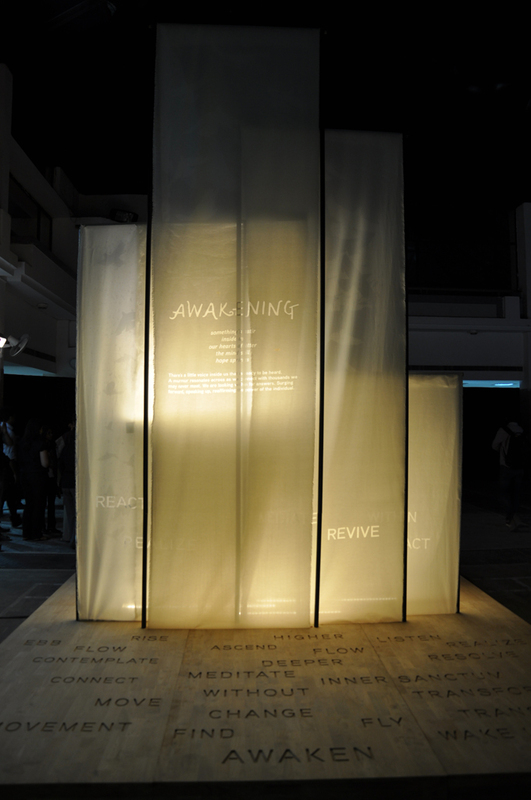 Read more about Awakening and about the discussion from ColourNext Dialogues in Mumbai.